Ever eat at Squatters? Andrew Blaser works there. At 28, Blaser is tall and slender, which cuts a striking figure as a waiter, but isn’t the ideal body shape for bobsledding. That’s part of the reason why the award-winning decathlete packed up and left Salt Lake City roughly three years ago after trying his hand at bobsledding and skeleton racing – according to him, his backup plan wasn’t working. He needed to find a back-up plan for his back-up plan, so he left for Louisville, where he had some friends. 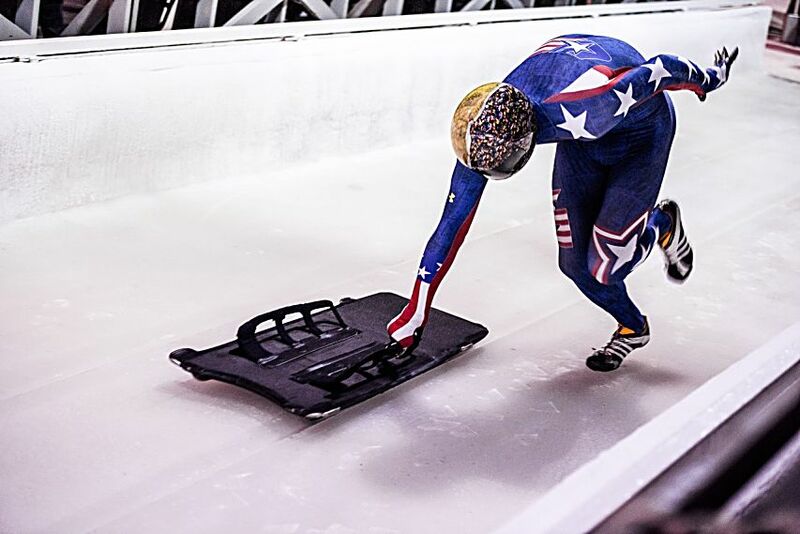 Eight months later, he repacked his car, and drove back to Park City, where he got his job at Squatters, and committed himself to mastering skeleton racing. “I think I just felt like I had unfinished business,” he said. After a decent season last year, Blaser earned a discretionary spot traveling the North American Cup circuit with the U.S. team. This season, his racing has climbed to another level. But reaching this point has been a rocky and, at times, unforgiving journey for the Idaho native. For many years, Blaser was a track athlete. In high school he fell in love with competing as an individual and excelled in decathlon and heptathlon. As a freshman at the University of Louisville, he set a school record in Heptathlon, then, after transferring to the University of Idaho his sophomore year, earned six conference titles. But when it came time to leave the University of Idaho, he found his plan to become a professional track and field athlete was not panning out. Ashton Eaton, a competitor so renowned he was dubbed “the world’s fittest athlete” by Outside Magazine, was dominating the sport. 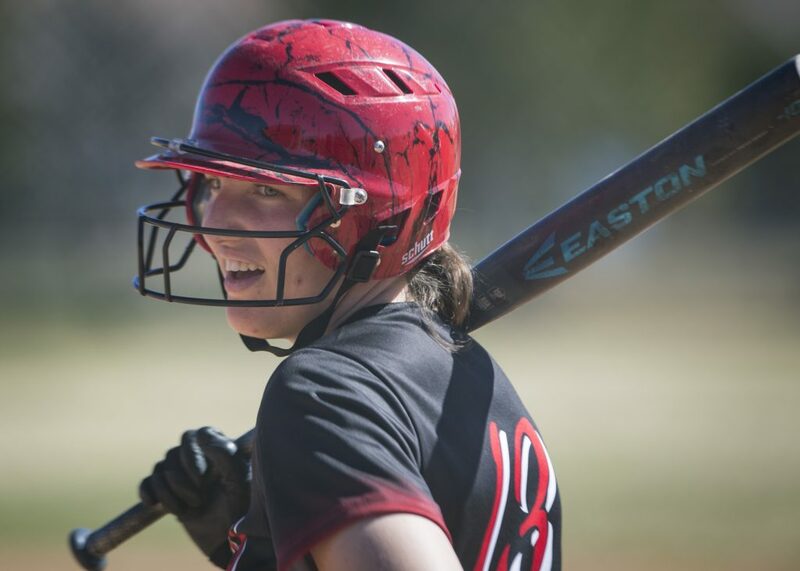 “When the best that has ever been was that close to you, there wasn’t a way to go that path that would have been lucrative or successful,” Blaser said. So he joked that he would go into bobsled — a well-worn path for retired track athletes. Then the joke became real when he called coaches in spring of 2012 and performed at a combine. Blaser committed to skeleton but still wasn’t getting the results he wanted, and his frustration with the sport, his progression, reached a breaking point. When he left for Louisville, he didn’t think he would ever slide again. He said his return was like starting his life over in a city he already knew. He settled in with friends of his aunt, went to work, started training again, bought a new sled and started raising funds. It’s a feeling that’s becoming more and more familiar to him. While his highest finish was seventh last season in Park City, this season, his lowest finish is eighth. 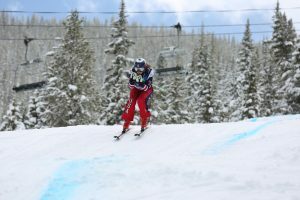 He also took second and third at the North American Cup races in Park City on Nov. 28 and 29 and is currently ranked third in the circuit by the International Bobsled and Skeleton Federation. His goal is to finish this season out in Lake Placid higher than 10th place, giving him all top-10 finishes for the season. While the 2018 Winter Games are out of reach for him, this season would put him in a position to move up to Europe Cup and then the World Cup circuit, which would be a gateway for the Beijing Olympics in 2022. He said now, for the first time, he’s starting to see skeleton racing as a more viable career option. Blaser can’t stop waiting tables just yet. And while he said his employers have been good to him, he hopes that maybe next season he won’t have to recommend the Jambalaya anymore.